In Power Rangers, it is common for the Rangers to be based on some kind of animal. What if those animals were Pokemon instead of animals though? It would look awesome. 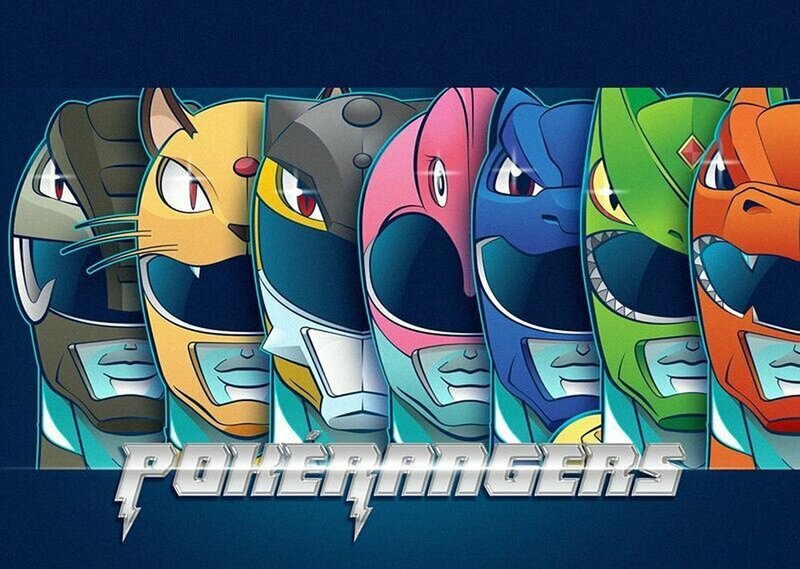 Otavio Oliveira has drawn some awesome artwork of Pokerangers. The Pokemon that are being used are Charizard, Sceptile, Blastoise, Gorebyss, Raikou, Persian, and Donphan. Not going to lie, outside of the first three, the others seem rather random. I can understand bringing in Persian and Donphan as their colors and aesthetics sortof lend themselves to the Mastodon and Saber-Tooth Tiger Rangers from Mighty Morphin Power Rangers, but if that was the goal, that raises questions about the inclusion of Blastoise, Sceptile, and Raikou. Regardless, the art is fantastic. What Pokerangers do you want to see?